OUTSOURCING WEB SOLUTION possesses an expertise to design attractive and result oriented flash websites. FLASH CD PRESENTATION is proven the immense tool by which we bring forth our company details, its services and products to potential clients. We make flash presentation by converting PowerPoint into flash, which make your site more interesting that surely impresses visitors to your website. 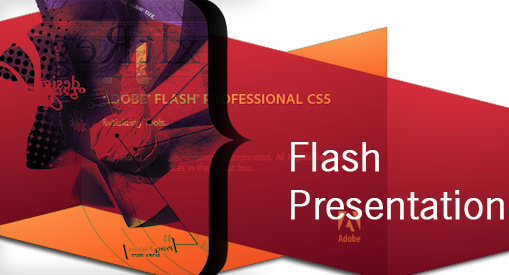 Flash is a multimedia format which contains animations, visual effects, sound effects, movies and various fonts. One can effectively and attractively utilize these clippings, videos and animations to explain the products and services. Our creative team of flash designer is able to make matchless custom designs within a given span of time and budget. They can add value to the web site and everything you wish to include to the website with wonderful presentation, which can draw total attention of the clients. These presentations are watched with speaker or as stand-alone/CD-ROMs. These widely used tools are utilized brilliantly to develop interactive corporate introductions. It is also used for the presentations and games and complete website. Flash presentation totally changes the look and approach of websites. It doesn’t affect the user-friendlyness or search engine ranking.